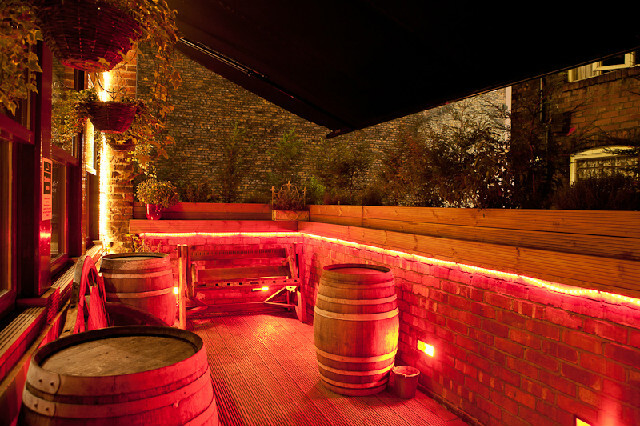 Come wind, rain or shine our well sheltered and very social Verandah keeps you protected from the harshest Mancunian weather. Whilst during those rare glimpses of sunshine Molly will peel back the covers to allow you to bask in its warming glow and make the most of our long summer nights. As the weather improves, keep an eye out for periodic BBQ’s which our chef will prepare on the Verandah. Details will be announced closer to the time. For more pictures take a look around our gallery.